ASBURY PARK, N.J. (AP) — Gov. 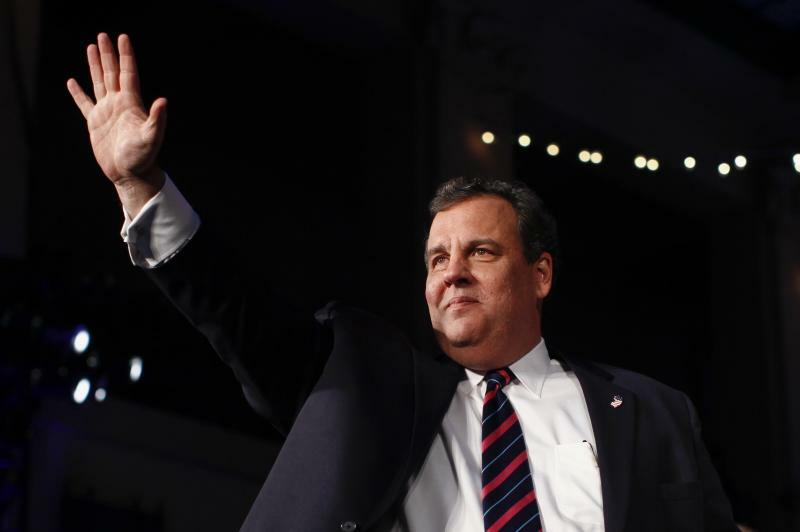 Chris Christie was re-elected with ease Tuesday, demonstrating the kind of broad, bipartisan appeal that will serve as his opening argument should he seek the Republican presidential nomination in 2016. 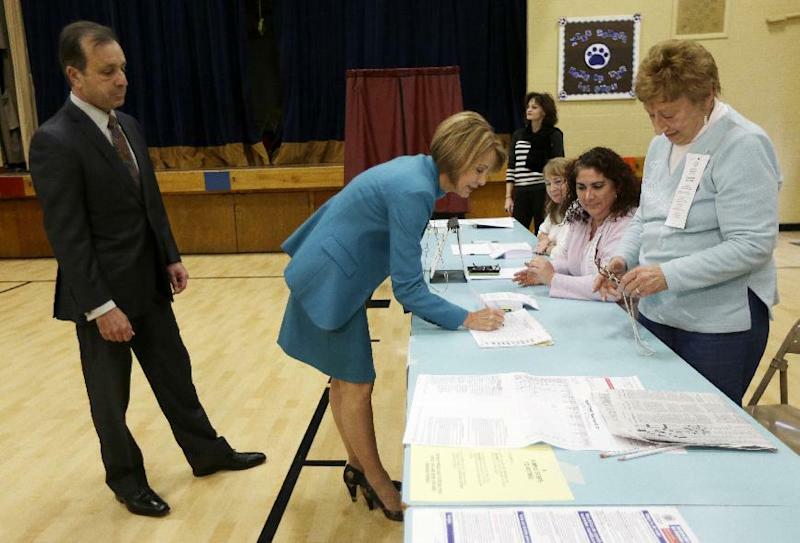 The Associated Press called the race based on interviews with voters as they left polling places. The interviews were conducted for the AP and television networks ABC, CBS, NBC, CNN and Fox News by Edison Research. 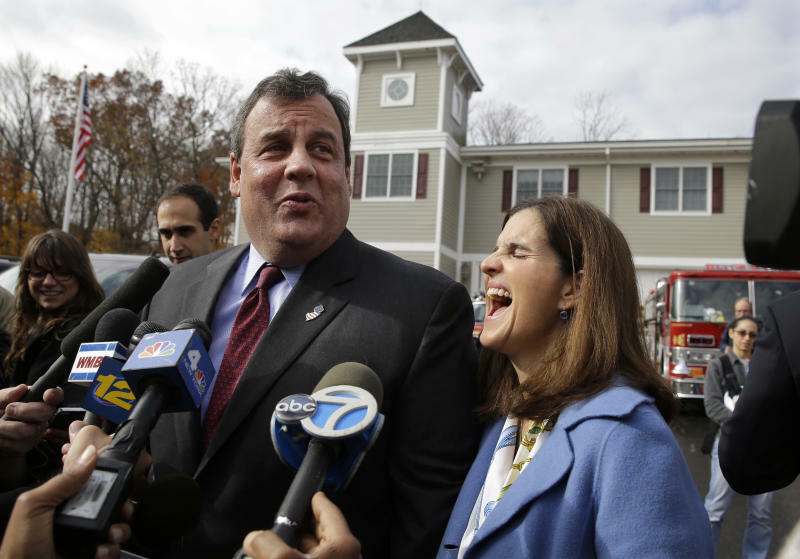 While the final margin of victory over little-known Democratic state Sen. Barbara Buono was still being tabulated, Christie was expected to become the first Republican in a quarter-century to receive more than 50 percent of the New Jersey vote. This, in a state that President Barack Obama carried a year ago by more than 17 points, his biggest margin in the nation. He was strong across the political spectrum. The preliminary exit poll results found Christie re-elected with broad support among whites, independents, moderates, voters over 40 and those opposing the health care law, among others. He performed well among groups that typically lean Democratic, carrying a majority of women and splitting Hispanics with Buono. And Christie improved on his share of the vote among blacks in 2009 by more than 10 percentage points. Backed by soaring approval ratings for his leadership after Superstorm Sandy, the tell-it-like-it-is governor built a winning coalition by aggressively courting constituencies that often shun the GOP: minorities, women and even Democrats, who outnumber Republicans among registered voters by more than 3 to 2. Christie becomes his party's biggest winner on a night in which the GOP was expected to lose a gubernatorial election in Virginia that featured conservative firebrand Ken Cuccinelli. Christie, in contrast, painted himself as a pragmatic leader who worked with Democrats to get the job done during his four years in office. Christie, 51, was already popular when Sandy slammed into the coast a year ago, damaging 360,000 homes and businesses and plunging 5.5 million people into darkness. His popularity soared as he donned a blue fleece pullover and led the state through its worst natural disaster, whether embracing Obama or consoling a tearful 9-year-old who had lost her house.